The Sidecar is a classic cocktail traditionally made with Cognac, orange liqueur (Cointreau, Grand Marnier or another triple sec), and lemon juice. The sidecar serves as the foundation for many of the most popular cocktails of the last century: the Margarita, the Daiquiri, the Cosmopolitan, and the Kamikaze, to name a few. 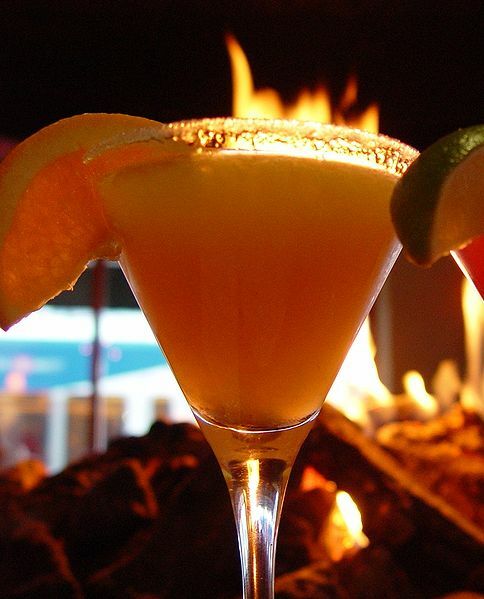 The cocktail originated in Paris shortly after the first World War. It is said that a proper Sidecar should be made with Cognac (at least a VSOP - Very Superior Old Pale) rather than just ordinary brandy. Cognac is technically brandy but it is easier to find a quality Cognac than a quality unflavored brandy. Also, since the Sidecar is a French creation, it is appropriate to use a distinctly French liquor. Serve in a sugar-rimmed glass. Garnish with a strip of lemon rind.